Vibrant new iPod colors revealed in iTunes update. You may have written off the iPod as something Apple doesn’t care to breathe new life into by this point, but the iPod is exactly what appears to be getting an update. 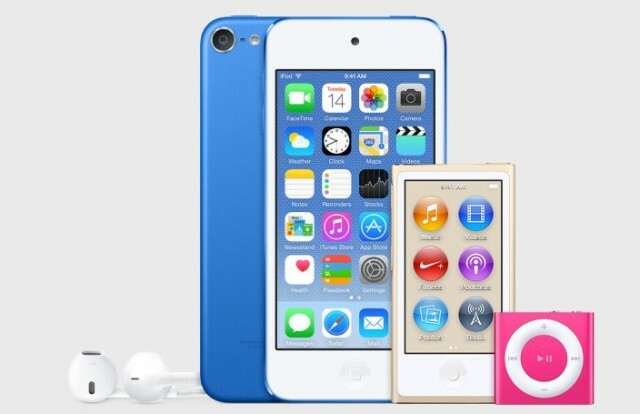 Alongside the release of iTunes 12.2 to support Apple Music, some users quickly discovered that images of the iPod family within the app feature new, unreleased colors. The new colors appear to be a very royal blue, champagne gold (that dare I say leans on the side of beige) and hot pink. The images of these iPods sporting their new colors only show themselves when a user plugs in a new iPod to set it up for the first time, so they’re not easy to find. The iPod has yet to receive any love from Apple’s gold movement, which started with the iPhone 5S in 2013. The iPad and MacBook have since offered the color option. Royal blue and hot pink are totally new though; the expansion of colors is probably one way Apple is trying to milk what’s left of the iPod’s appeal. As discovered by AppleInsider, the three new colors are likely coming to the entire iPod lineup, rather than just to specific models as the first image might suggest. Maybe if Apple decides to release these new colors for the iPod, they’ll come alongside some internal upgrades well, since the insides haven’t gotten any attention since 2012 with the iPhone 5’s A5 chip. The iPod touch also features a 4-inch display unlike the iPhone 6 and iPhone 6 Plus. This entry was posted in iRumors and tagged colors, iPod, ipod nano, iPod shuffle, ipod touch, irumors, iRumorsnow, itunes, leak. Bookmark the permalink. Apple releases OS X 10.10.4 with networking fix, Mail and Photos improvements, more.